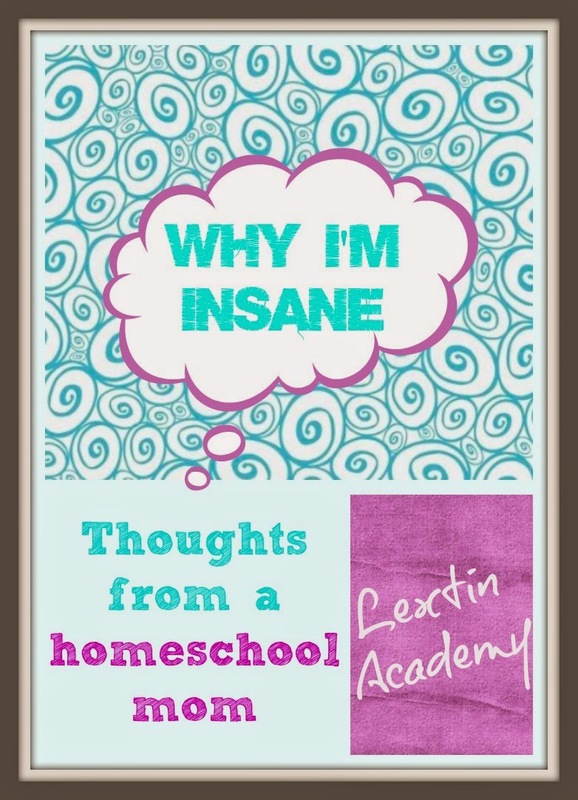 I do enjoy the homeschool journey. At least, most days I do. Occasionally I find that I have to repeat these things to myself, “I love my kids. I choose to homeschool.” I need these reminders at times. The homeschool life is not easy. The stay-at-home motherhood gig is hard enough without the added stress of attempting to teach your children (and then worrying if said teaching is enough or too much). At the end of the day last week I felt like I was losing my mind. I was fairly certain that I was certifiably insane. So, let me share with you what pushed me over the edge. We did our morning routine of school with some screaming from the toddlers. All in all, it wasn’t too bad. It was only near lunch time that our day began to fall apart. The kids had been playing downstairs while I was finishing up school with Tiger. When I walked downstairs to begin lunch I saw that it had been snowing in the kitchen. I had a very snowy toddler who was covered from head to foot in flour. She had measuring cups and spoons and was flinging the flour all over the flour and counters. This was expensive gluten free flour blend. Not good at all! I tried to grab her as she ran from me with cups of flour in each hand. The other kids helped me chase her down which resulted in most of them slipping on the flour covered flour and falling down on the tile. Every single person in the house was screaming or crying….or both. I finally got everyone calmed down and cleaned up. Then, as I attempted to make lunch I had one toddler asking me to play on the iPad every 30 seconds. I kept responding with a firm “No” and finally sent her to another room so she could wail there while I made lunch. The other toddler was clinging to my shin and screeching because I would not pick her up. I was cooking over the stove and so picking her up was not an option. I tried to distract her with other toys or an appetizer of some fruit at the table. She finally went for some apple slices and left me alone. The older kids were supposed to help me by switching out the laundry and starting the dryer. Soon I heard screaming from the laundry room and ran to see what happened. I found little Bee flat on her back on the tile floor and Punkin standing next to her with the step stool that she had yanked out from under Bee’s feet. Poor Bee had been sent sprawling to the tile floor when her stool went MIA. I tried to get back to lunch preparation but realized that I had lost sight of Punkin. She had disappeared. I went on a search for her and found her sitting in her room with a small mountain of baby wipes beside her, an empty wipes box in her hands. I called in all the kids as reinforcements to help me stuff the wipes back into the box while I took Punkin back to her chair. I put all the plates of lunch on the table and started the short Spanish video for the kids to watch as they ate. Fighting immediately erupted at the table as they argued over plates. That’s when I realized that there were 4 plates of food on the table. I actually have 5 children. I didn’t make enough lunch for each of them. At that point I was silently contemplating which one of them I would most like to give away that day. Since I couldn’t quite decide, I went back to the stove and started more lunch so that I could actually feed each child. Then as they ate their lunch I collapsed on the couch to try to rest for a few minutes. Instead I was interrupted by requests for more juice, a straw, a cup with a lid, a napkin, a spoon, and a wet paper towel. By the time the kids had finished lunch I had eaten one bite of my own lunch before I had to start corralling the toddlers again. While I was helping the big kids clear the table I stepped on something cold and moist and squishy. I looked down to see a puddle of Punkin’s lunch on the floor. I thought she had been happily eating her lunch. No, instead she had been chewing each bite until it was sticky pulp and then spitting it into a large pile on the floor. Clean up on aisle 5! After I finished clean up duty I realized that I had lost both toddlers and the house was entirely too quiet. When one toddler ran past me munching on tiny Barbie shoes that took me 10 minutes to dislodge from her tightly clamped jaws, I knew that I was officially insane. Actually what makes me insane is that I will go to bed, get up the next morning, and repeat this crazy circus act again. That’s the definition of insanity. So, how was your day, or should I even ask? Similar… and I have older kids! 😉 Hope today is better for us both! lol! Thanks. Those days can be very rough! Past the toddler years here, but my day started with a bird getting trapped INSIDE our bird feeder and ended with my 7 yr old tripping while running up the stairs, catching herself with her face. Never a dull moment!